You are here: Home / Writing / What Makes You Curious? If you’re a nonfiction writer, as I am, then you must recognize that the entire world does not share your deep interest in your topic. The audience of people actively looking to read about obscure topics may be quite small. How can you reach a wider audience, or get the one you’ve got interested in something you find fascinating? By tapping into the reader’s curiosity. The reader’s curiosity is the nonfiction writer’s ally. As it turns out, we’re not entirely sure how curiosity works inside the mind. There are two prevailing theories. One approach defines the state of curiosity as a need to resolve the discomfort of the unknown. In other words, when we realize that we have a gap, we suffer until it is filled. We can recognize the truth behind that theory in some situations – cliffhangers at the ends of television shows, for example. Or, think of that famous click-bait come-on: “You’ll never guess what happened next!” These headlines are trying to induce an itch that we can scratch by clicking through. Click-bait headlines manipulate and exploit our curiosity. Often, the entire experience is unsatisfying, like taking a sip of a tea that smells fantastic, but is otherwise tasteless. As someone who enjoys indulging her curiosity on occasion, this “gap” theory does not entirely fit my own experience. Other psychologists have noticed our innate love of doing puzzles and figuring things out. Even young children exhibit this kind of exploration for its own sake. Clearly this is true of people as well. Would we read or watch mysteries if the experience was unpleasant? 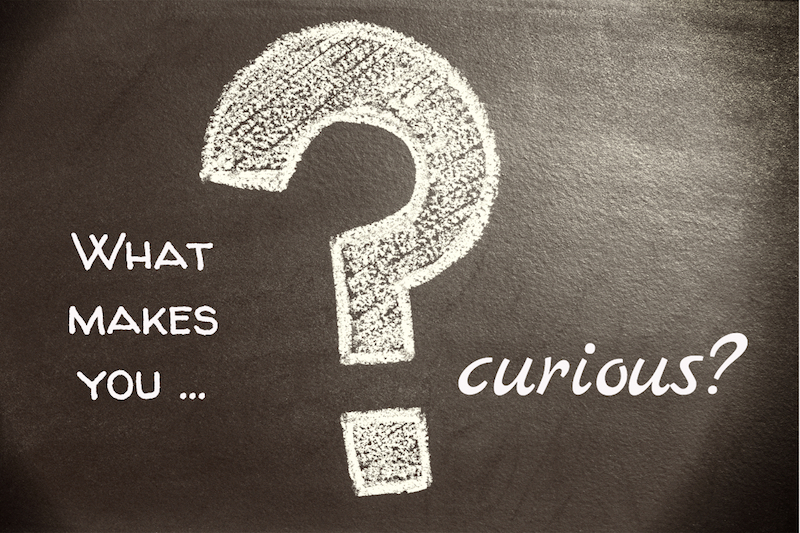 How Do You Engage Your Readers’ Curiosity? Fiction writers hook the readers with a good story; readers want to see how it turns out. Nonfiction authors must find other ways to tap into natural curiosity and earn the reader’s ongoing engagement. You might consider deploying a combination of techniques, such as pointing out a contradiction or surprise and promising to fill the knowledge gap. Don’t be manipulative, but do find ways to attract and then satisfy the natural curiosity of your readers. If you liked this post, you might enjoy my latest book Writing to Be Understood: What Works and Why.